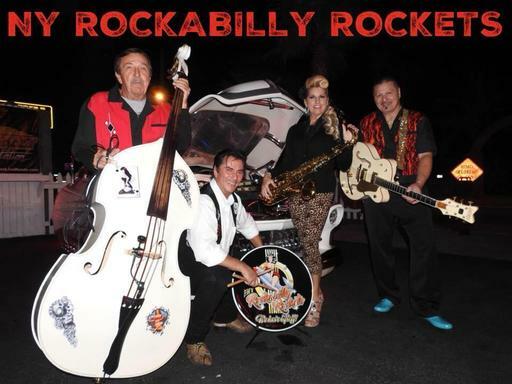 NY ROCKABILLY ROCKETS are a seasoned, high energy, rockabilly & vintage rock and roll band. "A tribute to Sun Records and the greatest Rockabilly artists of our time". This is a fun high energy show! Influences include - Elvis Presley, Johnny Cash, Reverend Horton Heat, Johnny Burnette, Gene Vincent, Eddie Cochran, Carl Perkins, Brian Setzer, Stray Cats, Jerry Lee. 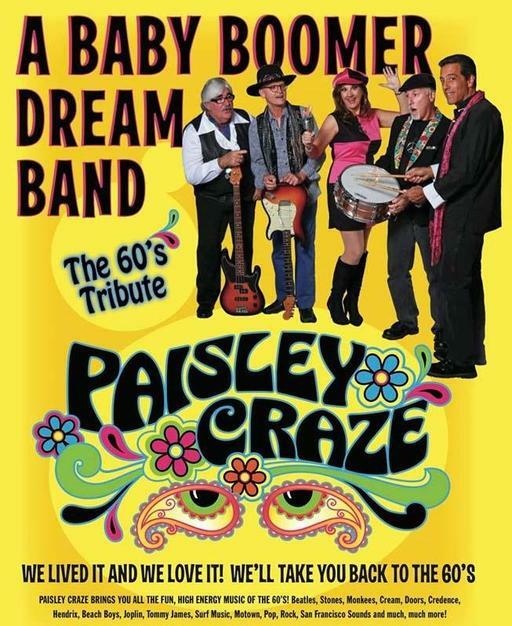 Paisley Craze, is a five-piece tribute band playing all your favorite music from the 1960s, covering the incredibly wide range of styles of that historic decade. From the British invasion featuring the Beatles, the Rolling Stones, and the Animals, to the sunny and light pop music of the Beach Boys, the Monkees, and the Young Rascals. From the mind-blowing psychedelic rock of Jimi Hendrix, Janis Joplin, and Jefferson Airplane, to the groovin' dance sounds of Motown, featuring Diana Ross and the Supremes, Aretha Franklin, and Smokey Robinson and the Miracles. So whether you want to just relax, sit back, and groove to the music, or get out on the dance floor and party to the break of dawn, come out and celebrate the music that changed the world!! This scenic amphitheater is located in Oceanfront Park on the north end of the Boardwalk amusement area and overlooks the Atlantic Ocean. It hosts regular free concerts for the residents of Daytona Beach and its visitors. Built of coquina in 1937, the Bandshell can host 5,000 people for concerts, outdoor weddings, receptions, events or group activities. Parking is available at the Ocean Center garage and surface lots. You can enter the Bandshell through the Ocean Walk Village from A1A or the overpass from the parking garage. Chairs are available for rental. Beverages are available from licensed vendors during events. It is against Florida law to bring outside alcoholic beverages into the Bandshell. For more information about events or reserving the Bandshell call the Daytona Beach Cultural Services Division at 386-671-8253 or visit us at the Peabody Auditorium. A special thanks to Friends of the the Bandshell for their support!